Review: Immortal Surrender by Claire Ashgrove | Book Lovers Inc.
Immortal Surrender is as good as Immortal Hope was and then some! 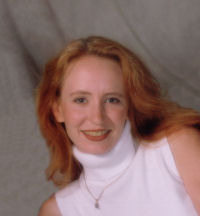 Claire Ashgrove does an amazing job on her paranormal series about hot Templar Knights! 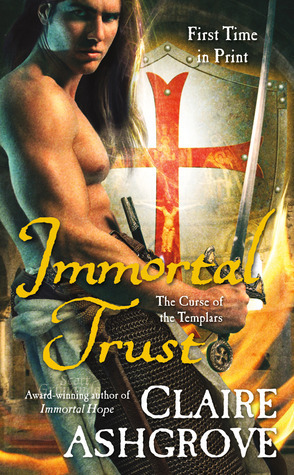 I remember saying in my previous review on Immortal Hope, that Templar Knights always fascinated me. So The Curse of Templars series starts for me with a huge advantage over similar paranormal romance series that feature vampires or werewolves or any other paranormal creature. That particular myth is among my favorites and most intriguing. So, thumbs up to Claire Ashgrove for creating such a fresh and unique universe and story. I really needed that amongst the overuse of all the other paranormal elements. 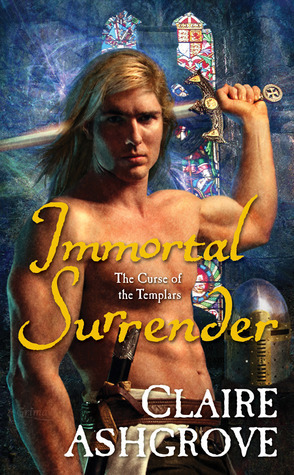 I enjoyed reading Immortal Surrender, even more so than I did the first book in the series, even if I didn’t fall in love with Farran as much as I did with Merrick 🙂 Farran was as alpha as one could hope, but he overdid it with his surliness and in more than one cases I hoped he would stop living in the past and do what he can with his present. So, Merrick was a far more preferable main hero for my taste I’m afraid… Not that I didn’t like Farran at all, it’s just that after a certain point I was tired seeing him acting the way he did towards Noelle and I couldn’t help but think that he did so just because he was still in love with his first wife Brighid (who had died more than 500 years ago…). Noelle on the other hand, was just the perfect leading lady. Smart, independent, full of insecurities and ready to sacrifice herself to save Farran. A damsel in distress that actually saved the guy of the story in more than one ways and at last someone who actually stops to think and not believe immediately every paranormal story she hears. I mean, I’m tired of characters just taking for granted every irrational story they hear. Yeah, it might be the truth, but when you’re raised believing certain things you can’t just assume that what you hear is the truth and not the product of some mental illness… Noelle in that department won me over and her character in overall was believable. The romance between them was scorching hot, despite Farran’s back and forths. There was unmistakable attraction between them and like in the first novel, Ashgrove did a splendid job with building some sexual tension and not throwing her characters in bed from the first chapters. The story is action packed, with maybe a few less action scenes than Immortal Hope had, but they were far better and more powerful. The scene of the final battle was simply incredible. The pace is even, not boring for a single moment, even when nothing crucial happens. And last but not least, one of my favorite things about Claire Ashgrove’s writing is the way she develops her characters, both main and secondary ones. Everyone has a certain role in her world and the way she develops her characters sets the motions for the next books in the series. All in all, I absolutely loved Immortal Surrender and I can’t wait to get the next book in my hands. If you love paranormal romance, just give this series a chance. It won’t disappoint you. Nice review, this series is on my wishlist!